We are living in a time, where the humankind faces an unprecedented challenge – it is the warmest it has ever been on earth since human presence. The dangers of climate change are known since the 1980s but a lack of political will and societal awareness has inhibited the necessary vigorous change. Further, the people, who are the most affected by climate change are also the most vulnerable and the ones with the least decision making power. We are now at the pivotal point, where with every degree a cascade of tipping point and a “hothouse earth” will become more probable. To prevent this we need political will, a new kind of cooperation, innovative technologies, business models and engaged civil society. It is therefore crucial to learn and offer advice to decision-makers informed by the experience from stakeholders on the ground. In the beginning of January, the High Atlas Foundation (HAF) in partnership with Germanwatch, a German NGO dedicated North-South equity and the preservation of livelihoods, started a Multi-Stakeholder-Partnership (MSP) project for a Moroccan energy transition towards 100% renewables. This project is part of a bigger, African-wide programme called African Renewable Energy Initiative (AREI) that aims to “accelerate and scale up the harnessing of the continent’s huge renewable energy potential” and advocates for an implementation of the AREI that benefits local communities, improves energy access and is ambitious enough to realize the vision of powering Africa with 100% renewable energies. While Morocco is a leader in the expansion of renewable energies on the African continent, renewable projects in the Kingdom so far tend to be large-scale. These large-scale projects have to be complemented by decentralized small-scale installations to benefit local communities and to create development opportunities. The Moroccan component aims to support a decentralized approach to energy transition through creating MSP’s at the regional, national and international level. The experiences that will be gathered on the ground from the implementation of such approaches will then inform recommendations for how national and international energy policy frameworks in Africa and Europe could be improved to enable and promote more decentralized management of renewables. 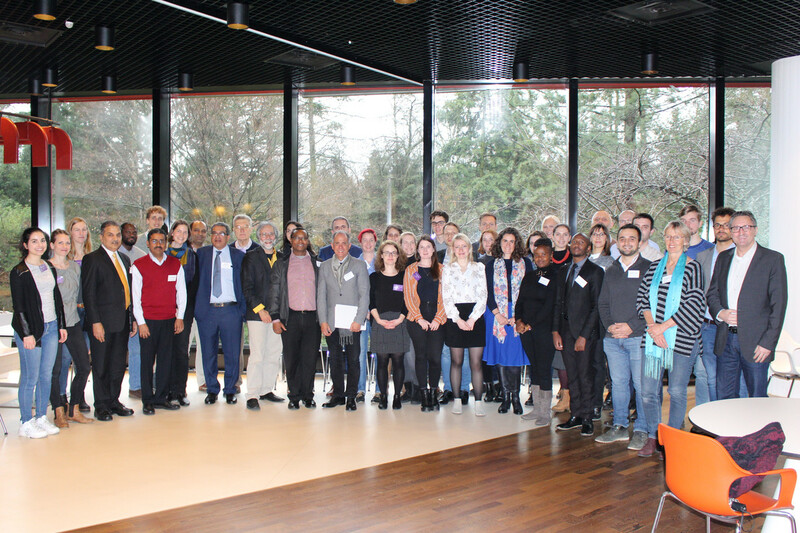 As part of this project, Mr Chemsedine Sidi-Baba, Chair of the Board of HAF-Morocco and Kerstin Opfer, HAF’s Operations Manager, travelled to Germany and participated in the Germanwatch organized conference “Partnership for Transformation – MSP Conference”. MSPs are long-term initiatives voluntarily undertaken by governments, the private sector, research, civil society and other major stakeholders, which efforts are contributing to the implementation of a common goal. They are a key implementation principle of the 2030 Agenda for Sustainable Development. MSPs, however, are also highly complicated and often characterized by conflict, power games and individuals. Learning from the challenges and success stories of other MSPs therefore is crucial. 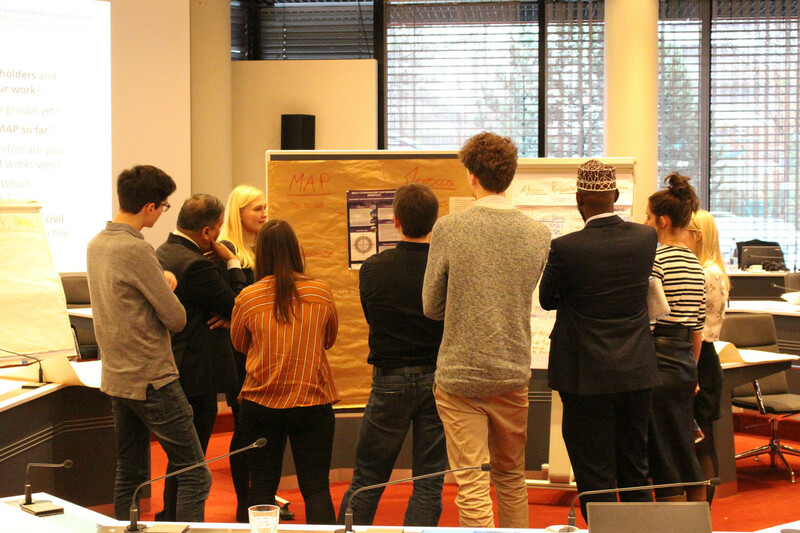 Together with the project staff of four other MSP projects in India, Kenya, Kosovo and Ukraine, we identified through group discussions and workshops that a lack of ownership, trust, and commitment of key stakeholders is one of the main pitfalls associated with MSP failure. Often this is caused by the lack of an initiative’s MSP design that fosters ownership and commitment and by ignoring power relations between the stakeholders. Neglecting important stakeholders, a focus on technical issues instead of building collaboration and dialogue, and a lack of taking into account existing rules, regulations, and procedures were other key issues associated with MSPs. Creating collective impactful narratives that foster actions, developing a common frame of reference and mindset and fostering dialogue, respect, and mutual learning through networks of change, were identified as key success strategies. Furthermore, by sharing knowledge between stakeholders and empowering the civil society, who is often in a week position due to a lack of power and resources, transparency, and equity is fostered, which increases MSP success. Through establishing institutional processes for engagement, all stakeholders are equally enabled to act as catalysts for change. Finally, through realizing that global change is not one historic moment and one big change but rather an everyday effort of a million small steps the MSP can grow–step-by-step–into a strong, long-term and joined effort towards a common mission. Transformative changes are realized neither through a top-down nor a bottom-up process alone, but through a combination of both. Cooperative approaches of different actors such as political decision-makers, the private sector, researchers, and civil society are necessary. Transformative multi-stakeholder partnerships can coordinate the expectations of these actors and therefore enable changes that could not be achieved by individual actors. The conference in Germany has provided important lessons learned and thought-provoking impulses, which will guide the shaping of the MSP for a Moroccan energy transition towards 100% renewables.